Anyone out there who is a woodwind player knows the nightmare that is having to deal with reeds. They are expensive and finicky. You are lucky if you get a couple in a box of ten that are good. At one point I used to be one of those individuals who would sit there an sand my reeds, tweaking them to try and get them to be better. It was a pain and it honestly never worked. I have had my eye on various artificial reeds now for a while. Reviews are mostly positive about them, but you always see purists who just won't have anything of them. 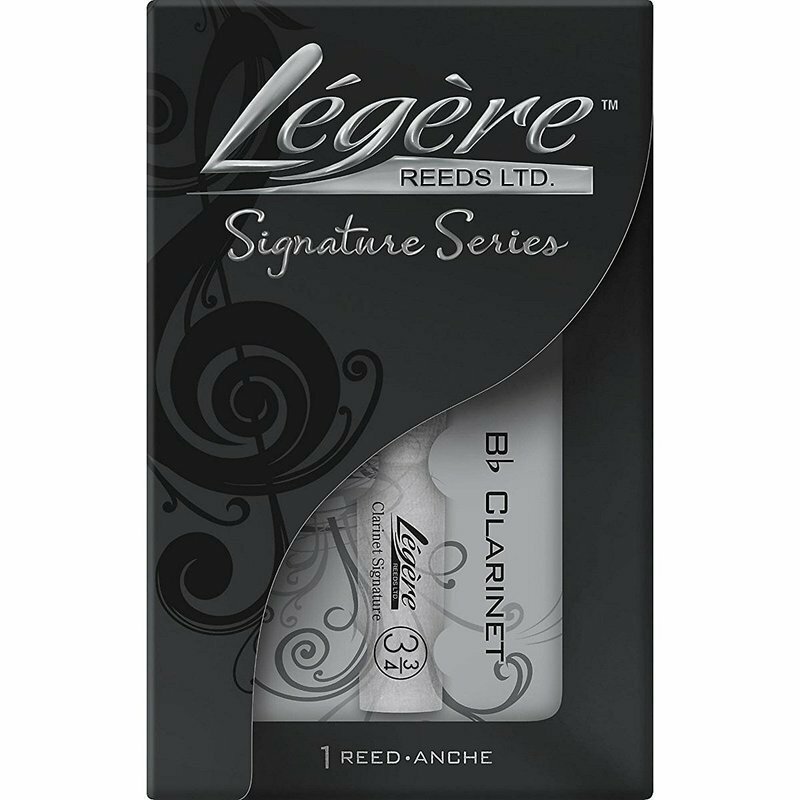 I noticed that someone in my section was playing on a Légère reed a few weeks ago and she said she loved it since she picked it up. That was it for me after dealing with another night of a sub-par feeling Vandoren. I ordered a Légère the very next day. It was not cheap, around $30 on Amazon. When it arrived two days later I put it on my clarinet and the difference was noticeable right away. It was immediately responsive when playing and I knew right then and there that I would probably never play on a cane reed again. Why had I waited so long to get one of these? Now, playing on the Légère does feel a bit different than a traditional reed. First off, the surface is incredibly smooth and my bottom lip was initially sliding all over the place. The overall reed characteristics are also different than a normal reed. The tone is for the most part excellent, but if you aren't careful with your embouchure, the open holed notes like the middle G, A and Bb can sound very "plasticy". The rest of the notes above the break and in the low register sound great though and with a little bit of careful playing the open tones sound fine as well. I initially had some trouble playing the high register notes well above the staff, like the high E, F and G. I think I may have been biting down on the reed too much, causing it to stop vibrating. I think most of that will just come with some time on the reed. I'll also have to see how long the reed really lasts. Will it last a year? More? Less? We'll see, but I am super pleased with my initial impressions. As big of a music nerd as I am, I have never really taken any music theory or composition classes before. Surprising, considering that I write electronic music. I have lately taken an interest in playing my clarinet more, beyond just the once a week band rehearsal that I go to. I have found though that it is near impossible to find some good solo books or pieces to just play for fun. Everything that is out there seems to be geared towards beginners, not advanced players. I was posting around over on the /r/clarinet sub over on Reddit (yeah, it exists) asking for some suggestions and someone stated that I should just start transcribing my music. I brushed that comment off at first as a sort of "jackass" comment, but the more I thought about it, the more it made sense. 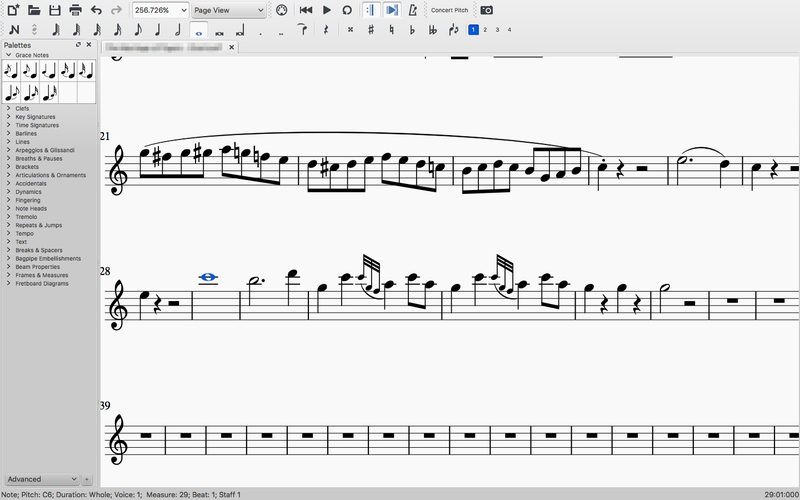 There is a fantastic free and open source music notation software out there called Musescore. If you haven't checked it out, you really should, if you have any interest at all notation or writing. I downloaded it yesterday and within about an hour I was up and inputting notes into my first transcription. Right now I am taking a piece from our band repertoire that we are working on that features the clarinet section heavily. I feel this is a good piece that I can transcribe to a solo clarinet piece rather easily. It also helps that the original score is in the public domain and can be found over http://imslp.org. If you haven't heard of that place, it is basically a repository for public domain sheet music. I am sure it will be a great resource as I move forward with this. I have a screenshot up above of the piece I am working on. Can anyone guess what it is?